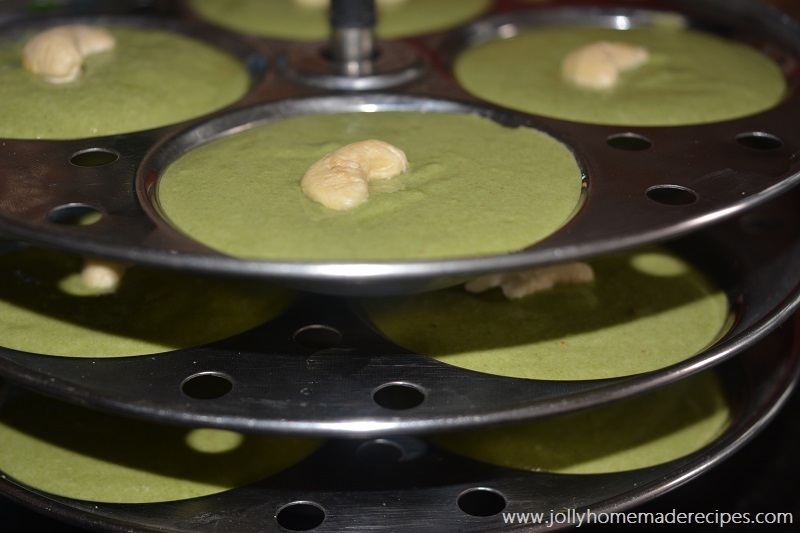 This is also called Steamed Spinach Savory Cake. This is quick and healthy breakfast as well as low calorie recipe. 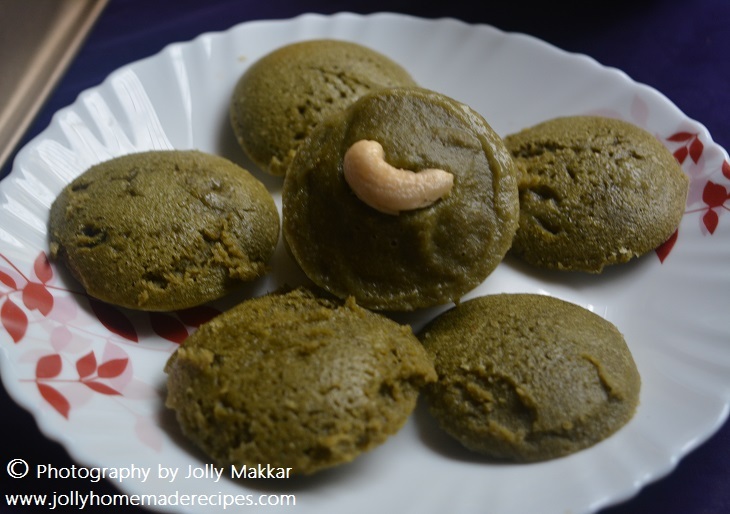 Made with few ingredients idli batter, spinach purée with few spices. Bang On !! I am back with a short trip from my hometown, it was an awesome trip..it's small but going to mother place is always be pleasant & wonderful time, isn't it !! 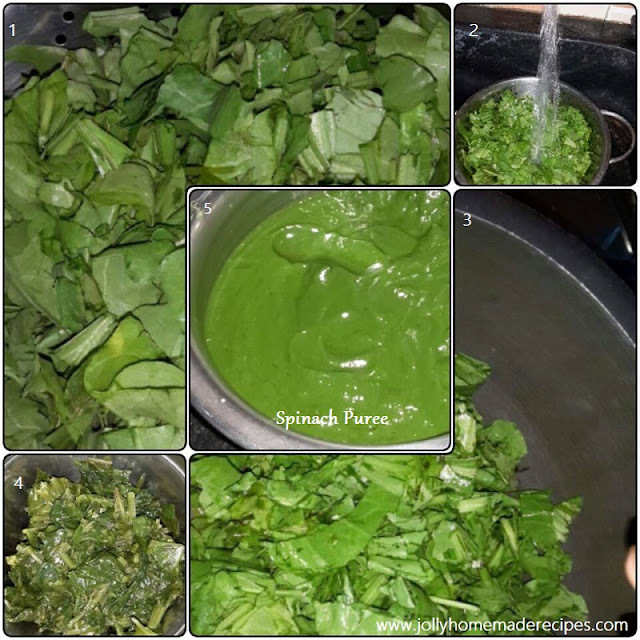 Feeling sad and little bit bad too :( every time I face the same experience, who want to come back from mom's place, but that's a life we have to move it like this way only :) :) let's move to the post..
Spinach/Palak is one of wonderful green-leafy vegetable often recognized as one of the functional foods for its wholesome nutritional and rich source of anti-oxidants vitamins like vitamin A, vitamin C. It is also good source of omega-3 fatty acids. 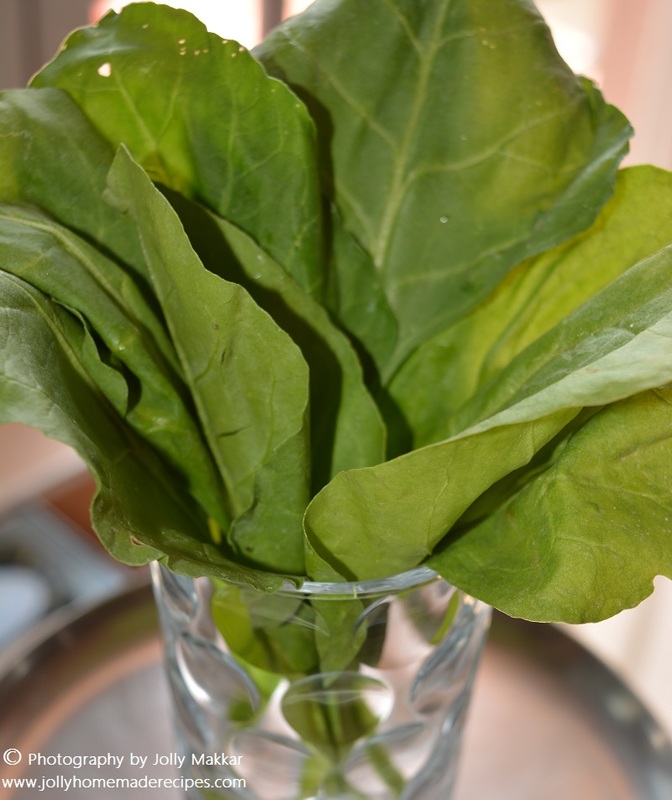 Although it can be stored inside the refrigerator for up to a week, fresh leaves should be eaten at the earliest in order to get maximum nutrition benefits. 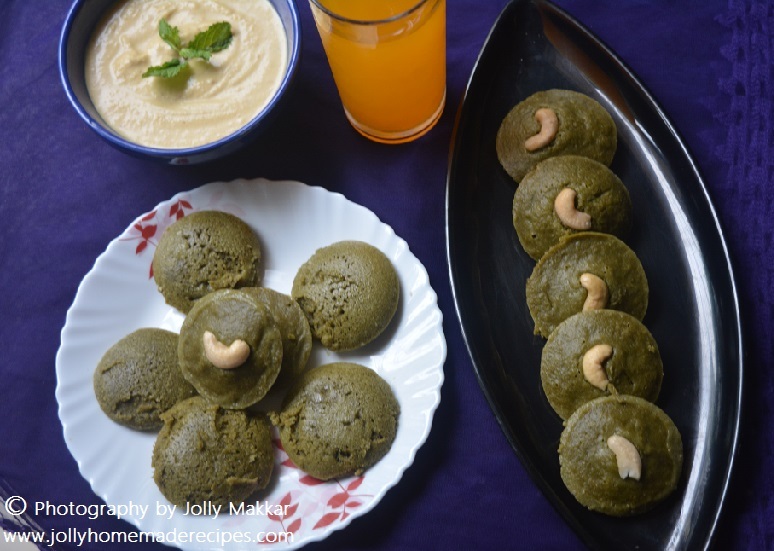 So, here I am sharing my new and healthy version of palak idli, last weekend at home as a evening snacks with roasted chana dal & coconut chutney and fresh Orange Juice...my whole family really liked it and appreciate it, so I want to share my recipe with my readers, followers and friends. This recipe is a great option for meal on those days when you are very lazy and don't feel like spending much more time on kitchen ;) :) It is simple and easy dish. 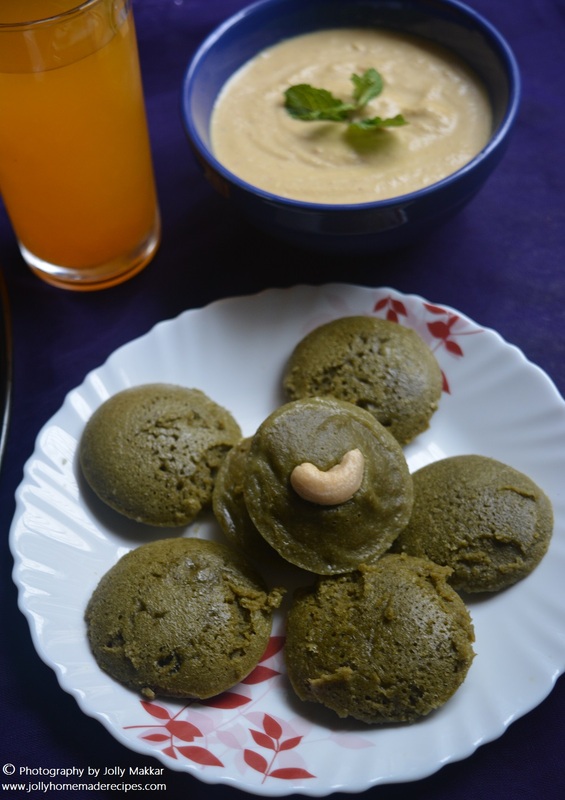 This spinach idli is a rich in protein, light and a healthy dish. It’s a really good option for breakfast or evening snacks. It's very light, yummy in taste and they are very light like most south indian food. I love to eat Idli's in any form with the chutney or with tangy sambar. 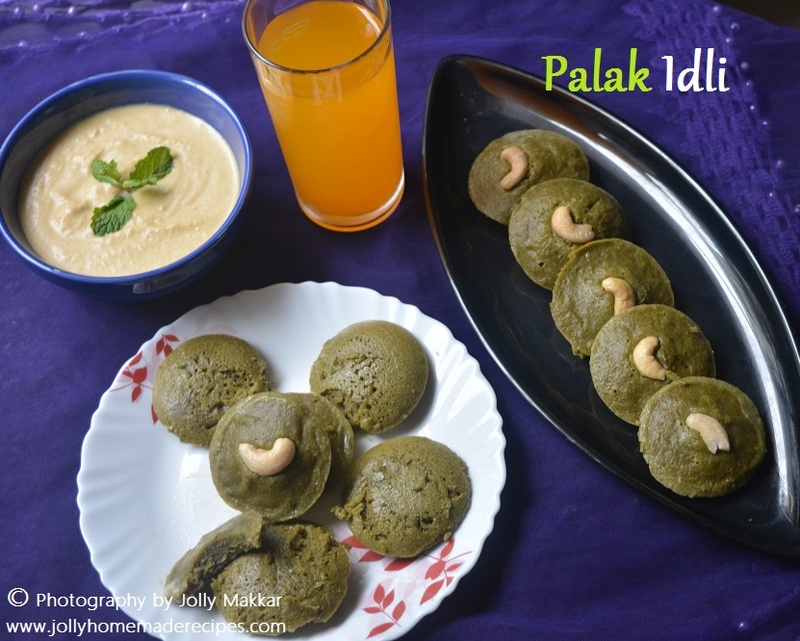 Palak Idli is a quick dish, which is ready in short notice, and is fully satisfy your taste buds. 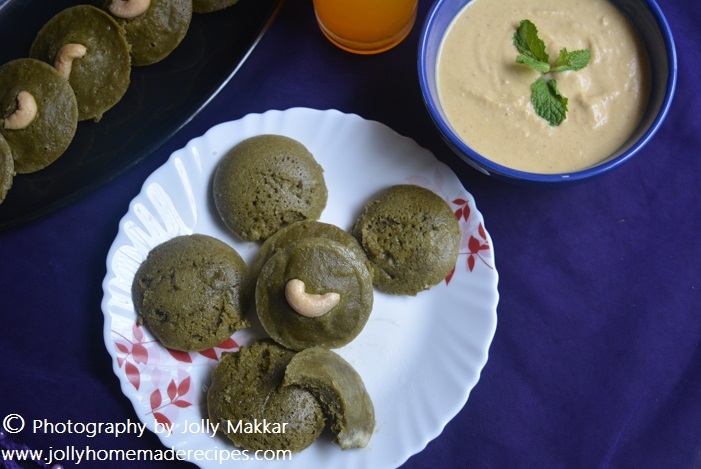 They are really delicious and appetizing, idli and palak complement with each other in terms of flavor and color (white and green), this is one of my favorite combination in clothes :D This is perfect for a even lunch too. 1. Wash the spinach leaves and keep aside. 2. Blanch them in hot water for 3 minutes. When cool, puree them into a grinder. 3. Transfer the spinach puree into a idli batter bowl, add the salt, red chilli powder, pinch of garam masala and mix well. steam in a cooker or steamer for 10 to 12 minutes or till the idli's are cooked. 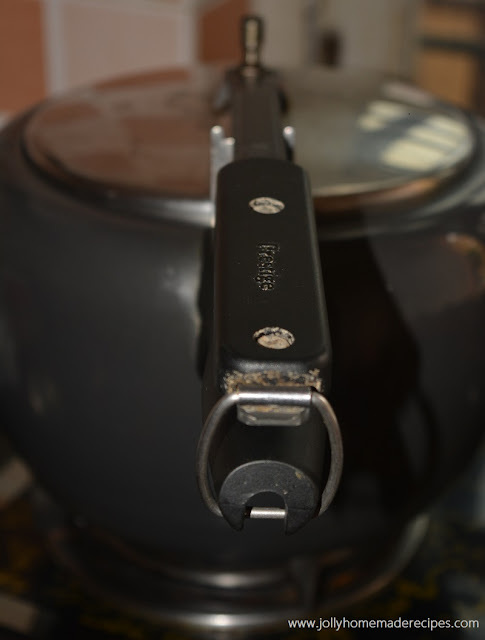 I have used my prestige pressure cooker for steaming the idli. 5. 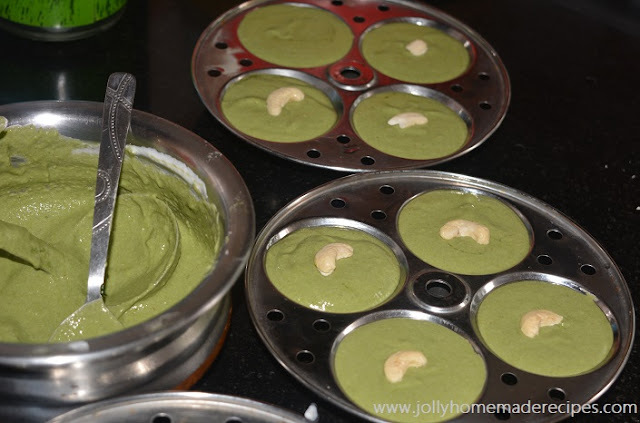 Cool slightly, de-mould the idlis with the help of spoon and soft side of knife. 6. Serve immediately with healthy roasted chana dal & coconut chutney or with juice or enjoy with tea or coffee !! I'm very sure all the mom's will going to bless you for this healthy preparation. Incorporating palak in idli is a superb idea, loved the addition of cashew nuts. Surely going to try this recipe very soon. Excellent Healthy Share. Big thumbs up for this creative recipe. 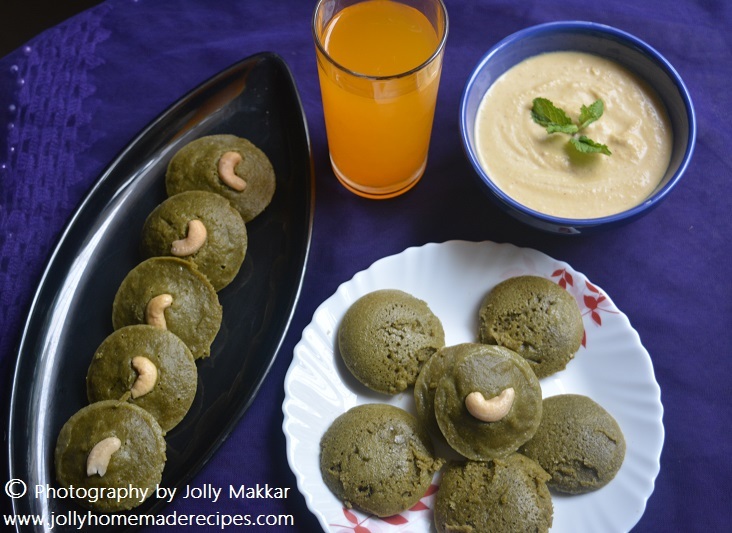 Very Interesting recipe Jolly! 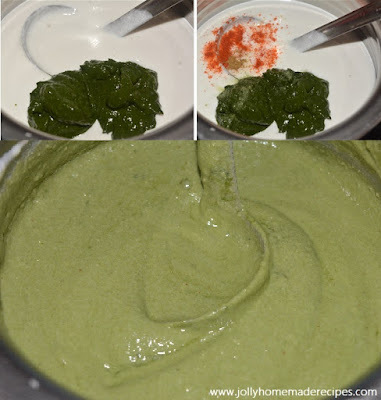 I love spinach and have added to many food items but this is first time I am seeing in an idli recipe. And why not? Its healthy, steamed and full of nutrition. Two thumbs up!